Bringing the Northeast on the air map will be the government’s top priority in the second round of its regional connectivity scheme UDAN. NEW DELHI: Bringing the Northeast on the air map will be the government’s top priority in the second round of its regional connectivity scheme UDAN. 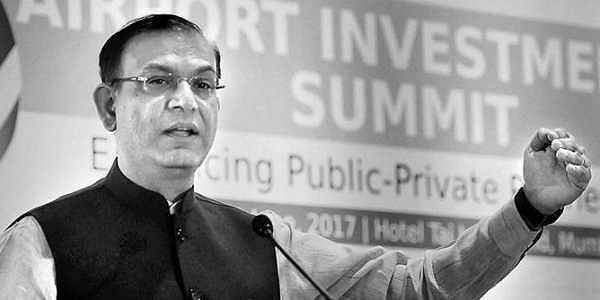 Union Minister of State for Civil Aviation Jayant Sinha on Wednesday said that 92 new routes will be opened in the region in UDAN-2. Sinha also announced a direct bi-weekly Air India flight from Delhi to Imphal from January. He said IndiGo will soon start services from Guwahati to Silchar and Aizwal, and that Spicejet is also looking at operating in the Northeast and that it will be procuring seaplanes that can seat 9-10 passengers and land on smaller airstrips. Under UDAN, the government plans to provide affordable air connectivity to small cities and remote areas. Regarding operating drones or unmanned aerial system for civilian purposes, Sinha said the government was aiming at implementing the concept of ‘digital sky’ for drones to ensure smooth operations of rising numbers of unmanned aerial vehicles. A unique ID number and radio frequency tags will be mandatory for operating drones. The ministry has placed the draft drone policy in public domain and anybody can send their feedback till this month-end. “When someone wants to operate a drone, they will have to file a digital flight plan. Through a software monitoring programme and ground radars you ensure that the flight plan is faithfully followed,” Sinha said.